Bringing the reader the very best of modern scholarship from the heritage community, this comprehensive reader outlines and explains the many diverse issues that have been identified and brought to the fore in the field of heritage, museums and galleries over the past couple of decades. dedicated to public participation in heritage, museum and gallery processes and activities. 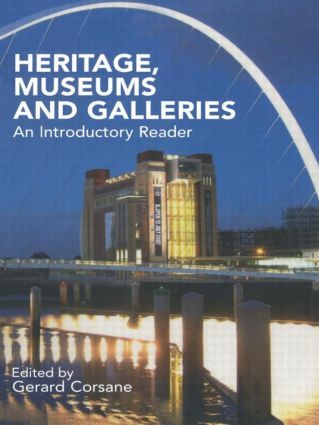 The book provides an ideal starting point for those coming to the study of museums and galleries for the first time. Gerard Corsane is lecturer in Museum, Heritage and Gallery Studies, University of Newcastle.